After a week of laying low and recuperating, I finally ventured out to town for some food and breathe fresh air. This last round of being sick is about to put me down for the count. One of my resolutions is to bathe in Vit. C daily. I’ll try to embrace my Oompa Loompa skin if it means I don’t have so many returning sinus infections/colds/flu/pneumonia. So, without further dawdling, my last big meal of 2011. 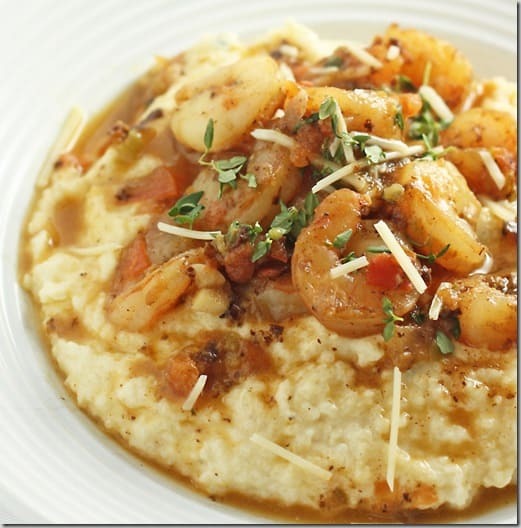 Lowcountry Shrimp and Grits. 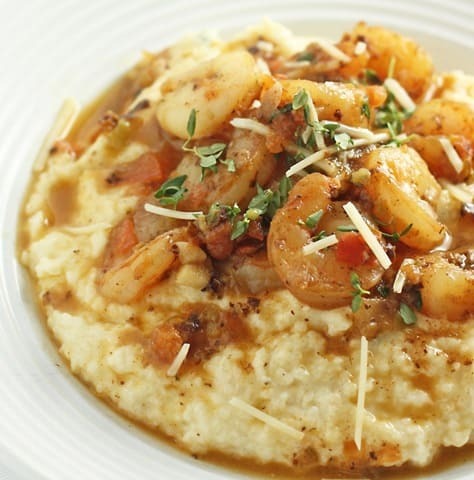 Lowcountry refers to the cuisine around the low country of South Carolina and Georgia. 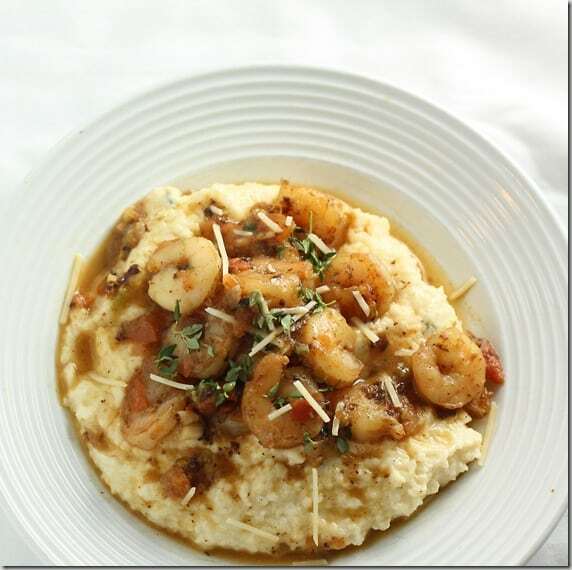 Because of the heavy emphasis on seafood and creole seasonings, it is a twin sister to Louisiana cajun cuisine. 1 cup water, and additional may be needed to thin grits. 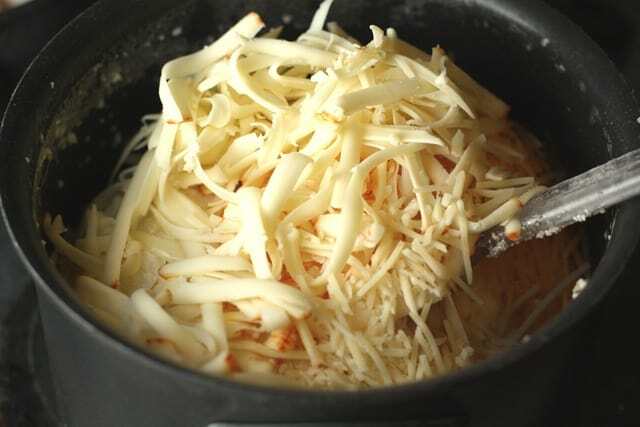 1/4 cup EACH of cheddar, parmesan, gruyere cheeses. Melt 2 tablespoons butter in a large saucepan. Add garlic and 1 tablespoon thyme; sauté 1 minute. Add milk and 1 cup water. Bring to a boil; whisk in grits. 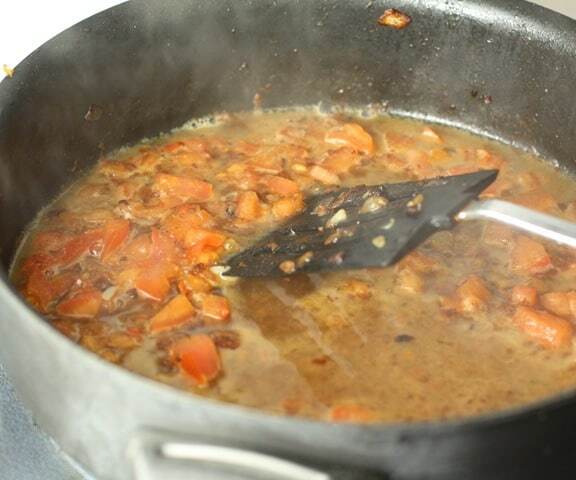 Reduce heat to lowest setting; cook 10 minutes or until done, stirring occasionally. Add cheeses and sour cream. Season with salt and pepper. Keep warm. If they set too firmly when ready to serve with shrimp, add water or milk to thin and reconstitute. 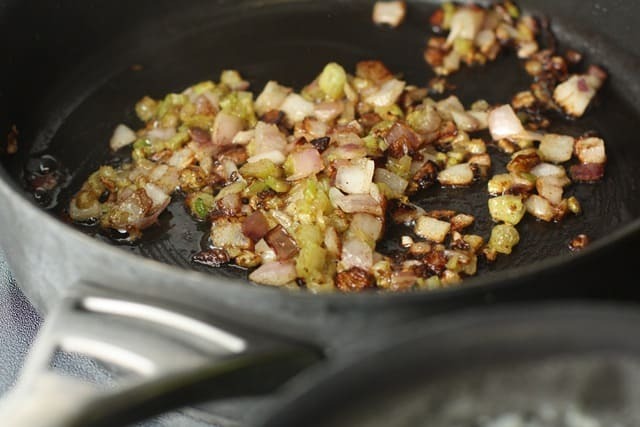 Melt 2 tablespoons butter in a large skillet. 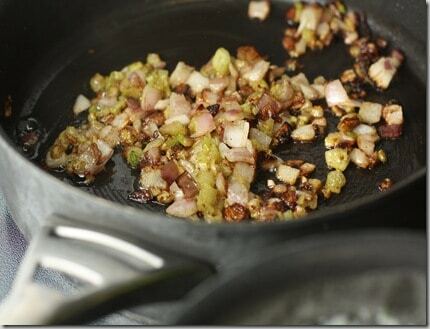 Add garlic, celery, bell pepper, onions, thyme, cajun seasoning; sauté 30 seconds. 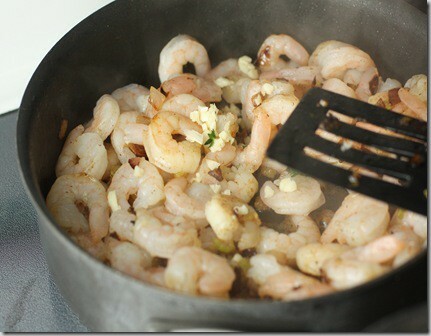 Add shrimp, and cook 7 minutes. Remove shrimp and veggies from skillet. Add wine, stirring to loosen browned bits. Reduce heat to low; whisk in remaining butter, 1 tablespoon at a time. Stir in lemon juice, tomato, and parsley. Cook 3-5 minutes. Return shrimp and veggies to pan. Stir to mix with butter tomato sauce. Serve over grits. Garnish, if desired. * If you would rather not use the wine, use broth or lemon juice. One hour left! Happy New Year! Your photos makes me want a DSLR! Also, now I’m hungry. That looks delicious. 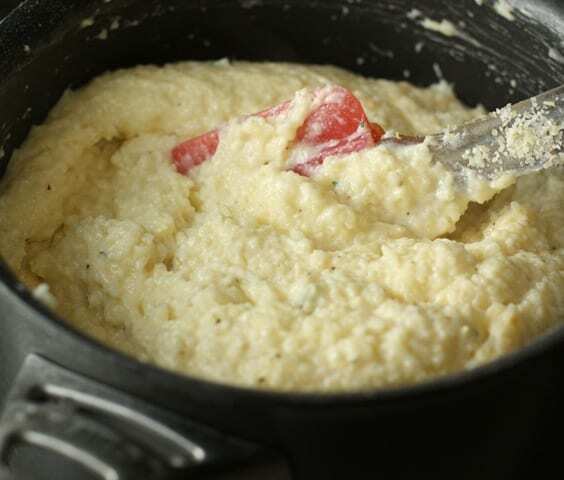 I didn’t even know that I liked grits until I moved to Georgia. I think because before I moved here, I never had them with cheese! I was raised on grits..but always with butter and cheese. I’ve had them at restaurants without anything and it was like wet sand in my mouth. blech. This looks so comforting. I’ve never had grits but this is too inviting. Makes me want to go out and make some soon. Just remember they do set up fast so have milk or broth handy to get them back to a good consistency. Hi! I love you blog and am going to make this for my boyfriend from NC tonight! He will love it! Quick question – in the instructions for the grits it says to add cheese and sour cream, but there is no sour cream in the ingredients list. I’m sure it would be delish either way, but what do you recommend? Thanks again for your blog – you probably don’t even know how many people you are inspiring to run! I have never done a full marathon, but have done a half and prefer a 10 mile race – I am really slow and 10 miles is about what I can handle before I am totally useless. Thank you so much for your story and your spirit.